How could god let this happen? I am the Jewish child of Holocaust survivors, so that is a question that I have heard asked throughout my life. Everyone from the most revered religious leaders to George Burns playing the title character in Oh God, Book 2, has tackled that enquiry. As I stood at the center of camp I wondered if things would've been any different if the whole world was watching. Not just knowing. Watching. Nearly three decades after that trip with my parents, I am staring at this computer screen and I realize that I am living on those hills. Pretty much everyone I follow on Twitter has had some reaction to the revolution happening in Egypt. Most of this commentary, including mine, is not backed up by a deep knowledge of Egypt's history. Instead it's a knee-jerk reaction to a moral dillemma. Whether we adhere to some religious values or view morality as a human construct, we are all reacting to a situation on the ground where we see the good guys (the young protestors who want freedom) and the bad guys (the old dictators who have repressed the masses for their own gain). And we're all living in those houses surrounding the valley where we see something that has to change. Physically, most of us might be on the other side of the world. But the story is piped at us all day long by the mass media and by members of our networked communities. We don't just know about it in the back of our minds. We're watching it. Did the Internet cause the revolution? Of course not. Did it play a critical role in enabling the revolution? It might take a little time to answer that question completely. But it's certainly worth noting that those who helped to light the fuse used the Internet to do so, and one of the first reactions of the ruling party was to turn the Internet off. 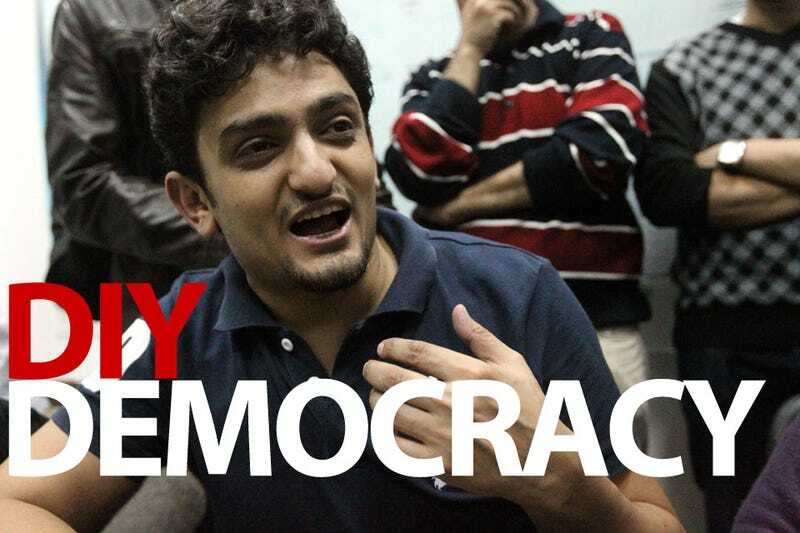 In an interview on CNN, Wael Ghonim, one of the voices of the revolution said: "If you want to liberate a government, give them the internet." Of course, there are countless other events in the world that we're able to ignore even with modern life's constant connectivity. But every now and then, a series of events in a corner of the world rises up onto our screens and into our communal consciousness. This will happen more and more often. The more connected we are, the more we'll see. This will have a dramatic impact on our own experience of world events. Will more be better? It's easy to argue that we're better off watching the streets of Cairo than American Idol. But living on those hills might overwhelm us. Every now and then, you might want to take off your virtual beret and focus on events across the living room, not across the world. But our old living room might be gone. Once you live on that hill, it's hard to close the curtains. It's hard to deny that we'll be increasingly confronted by a new question. I don't pretend to have any idea if our watching will make a differnce in the course of world events. A few people on the hill didn't make any difference to the victims of that concentration camp. Would hundreds of millions of people on the hill do the trick? Will we live in a better world because the world is watching? I don't know. But at least we'll know who to blame. Dave Pell is an internet addict, early adopter, and insider. He blogs regularly at Tweetage Wasteland and has even been known to tweet.